There are a variety of products that consist of coconut oil and advertise its ability to whiten teeth. When used as an ingredient in a toothpaste, it can help the overall process of teeth whitening. But, this will not happen overnight. When used as an ingredient in a whitening mouthwash, it will take even longer to see results. What if you just want to use the coconut oil extract directly? Read more below to find out. Plaque softens. When you swish oil inside your mouth for several minutes, the plaque softens and dissolves in the liquid oil. While plaque on teeth forms naturally, and almost everyone has it, this sticky substance can be harmful if not removed. It prevents plaque from turning into tartar. Plaque that stays in its place for more than 48 hours hardens and calcifies (it is called, tartar). It is almost impossible to remove it with an ordinary floss and toothbrush. But, is it the best way to clean your teeth? No. If you want to avoid plaque, stop it at the very beginning. Before it thickens, brush and floss it. Use a toothbrush with high-quality bristles to scrub away plaque before it causes damage to your tooth and gums. If you’re not flossing, it’s time to start doing it, so you won’t leave a huge portion of the plaque on your teeth. They form quickly after a meal and since brushing only removes 40% of the plaque, it’s up to you to get rid of the other 60% by flossing. Stomach troubles. When you accidentally ingest coconut oil, you can suffer from stomach trouble, leading to frequent trips to the bathroom. Lung disease. Ingesting the oil may also harm your lungs because of the bacteria and unsterile substances that are mixed up in the oil after you swished it in your mouth. Instead of dipping into your coconuts oil jar, which may not be even good for your health, why not look for a toothpaste with coconut oil ingredients to ensure that they’re safe to use? Here are two of the better-known products that have proven to work for our readers. Do coconut oil products work? When you use it as toothpaste, you are reducing the risk of ingesting or inhaling oil. Also, you won’t subject your mouth and jaw to almost 20 minutes of swishing. But, if you use a mouthwash with coconut oil as its main ingredient, you still have to be very careful when swishing it inside your mouth. Otherwise, you might ingest or inhale it and suffer from the side effects of coconut oil. 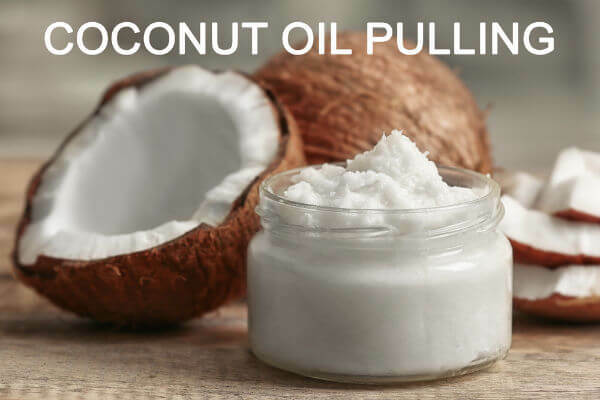 A lot of people turn to alternative remedies, such as using coconut oil to whiten teeth, not only because they are dissatisfied with oral products, but because it is cheaper. Especially, when compared to dental procedures. Choose your dental products wisely, especially if you are not sure if coconut oil works for you.